Friday Financial Tidbit-You're expected to be average | JW's Financial Coaching-Giving you a new perspective on your money! ← Who are you taking your advice from? If you are doing OK financially in our society, you really aren’t doing OK. You are treading water at best and struggling to stay afloat. That’s why I encourage you not to be average in your finances. Instead, be exceptional in your finances which will lead to exceptional achievements in other areas of your life. 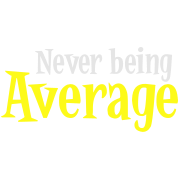 For those of you who have already decided not to be average financially have you ever noticed how OK the world is with you being financially average? Think about it; our culture expects you to have a car payment for the rest of your life. It expects you to carry your student loan until your children go to college. You are expected not to have a plan with your money and to live paycheck to paycheck. You are supposed to be barely “getting by” because that’s what everyone else is doing. But doing what everyone else is doing is no fun and no way to live for the rest of your life. That’s why I started getting into financial coaching, to give people a new perspective on their money and to be a voice encouraging people to be better than the status quo. If you are looking to be exceptional in your finances and need someone to help push you there, you’ve come to the right place. Our community on Facebook is a great place to connect with other like-minded individuals to receive encouragement. Likewise, connect with us on Twitter, listen to the podcast, or sign up to receive all the blog posts which will not let you settle on being average. Have you too noticed the trend of our culture to accept being financially average? What have you done in 2012 to buck this trend? JW’s Financial Coaching Podcast-Why you don’t want to be average with your finances! This entry was posted in Budgeting, Friday Financial Tidbit, Personal Story and tagged Friday Financial Tidbit, Staying in Budget for a vacation, Vacation. Bookmark the permalink.